You can see that my assembly is the same as the reference, just shifted by 12 bases or so. Has anyone any suggestions about how to solve this problem? 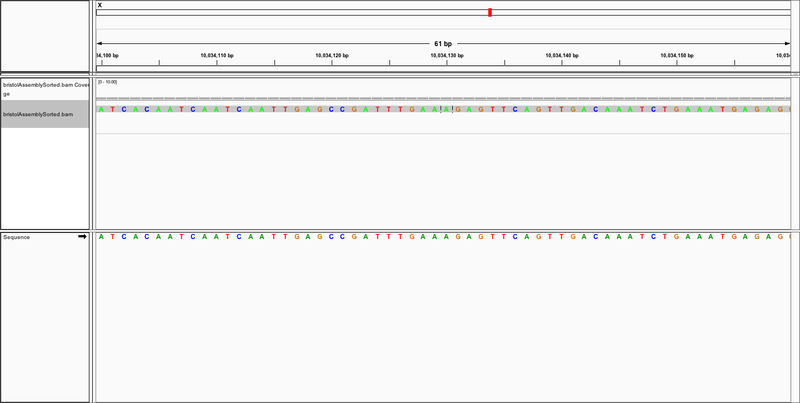 Have you tried to use the actual reference sequence you used for your own alignments (instead of going on the label of genome build) in IGV? Thanks, good idea. I've tried but there is no change. 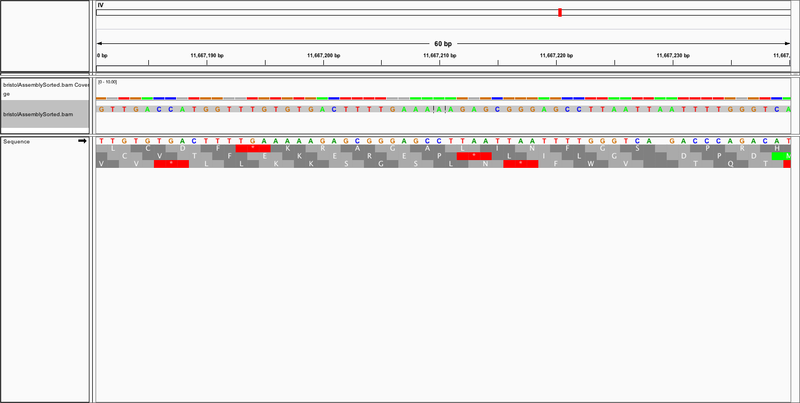 I went on the Genomes tab in IGV, loaded the reference I used for alignment and then loaded my BAM file. Still the same. Hmm. You are actually aligning the assembly not the original reads. Assuming the assembly is long, have you tried to use a tool meant for such alignments as blat, LAST, or LASTZ? Since this is C. elegans, even mauve may be able to handle the alignments with the added benefit of showing you any rearrangements. genomax, do you know if Mauve can output a BAM file? is it really shifted, or just IGV is showing you this 12 bp shift? I used this command instead, penalising gap extensions less. 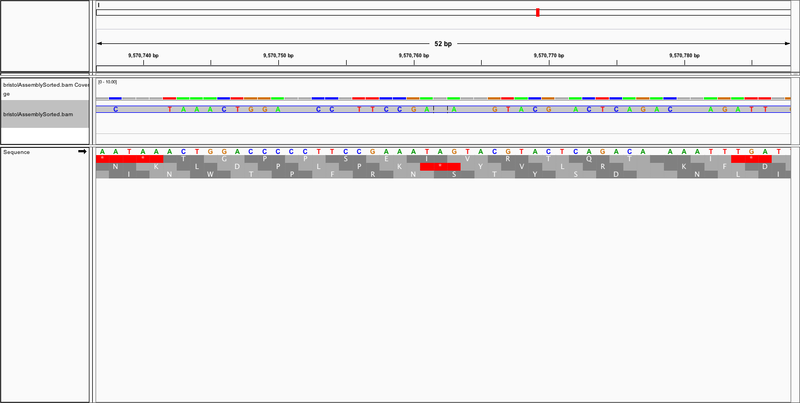 The assembly comes from pacbio, and this technology is 12% indel error in the raw reads, that might be why the contigs also need a bit more lee-ways on indels for alignment. I figured it out with a colleague because we looked at the start of the chromosomes and it started off aligned and got misaligned when there was a larger indel in my assembly. Position of aligned read in SAM file.